Yesterday the headlines were unbelievable but true -- 1,300 people were fighting over four flats in Parc City, Tsuen Wan. That's because the owners of the four flats walked away from their transactions, giving up hundreds of thousands of dollars in deposits. The flats ranged in size from 427 to 850 square feet, with prices from HK$6.04 million to HK$14.4 million. But the most sought-after flat was the smallest one, which was being offered for resale at the original price. 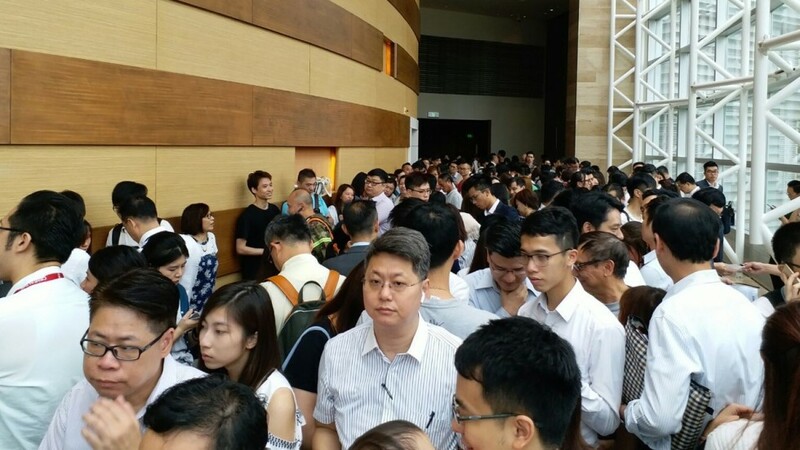 But if the buyer paid in cash, the price was discounted to HK$5.89 million. So how did they decide who got which flat in the end? Each potential buyer had to pay a deposit and then their name was put into a lucky draw with the odds at more than 300 to 1 in being able to buy a flat. While property agents claim this is evidence that the property market is still hot, it also clearly illustrates there is hardly enough supply. The Lam administration really needs to tackle this urgent issue -- not only to help people have roofs over their heads, but also give hope to young people who feel owning a home is an impossible goal.